More New Items To Choose From! 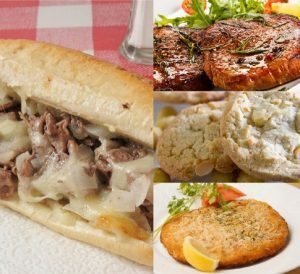 Get your Philly on with our Philly-Style Beef Sandwich Steak. You can never go wrong with our Honey BBQ Boneless Pork Chops. Got a sweet tooth? Try our White Chocolate Chip Macadamia Nut Cookie Dough – ready in just 12 minutes! Looking to change up the pace? Try our yummy Breaded Veal Patties- just 8 minutes from freezer to table! ← More New Items Just Added!